The bundles are coming! The bundles are coming! While many health systems have been delivering care in value-based bundles for some time, the broad implementation of bundles was made a reality when the Centers for Medicare and Medicaid announced the Comprehensive Care for Total Joint proposal to go into effect in early 2016. Navigating this new world, was the focus of the session “The Business of Total Joint Replacement: Surviving and Thriving” at the American Association of Hip and Knee Surgeons annual meeting. The bundles are coming! The bundles are coming! While many health systems have been delivering care in value-based bundles for some time, the broad implementation of bundles was made a reality when the Centers for Medicare and Medicaid announced the Comprehensive Care for Total Joint proposal to go into effect in early 2016. Navigating this new world, was the focus of the session “The Business of Total Joint Replacement: Surviving and Thriving” at the American Association of Hip and Knee Surgeons annual meeting. This was one of the best sessions we’ve attended on this topic: both realistic and optimistic about the opportunity to impact patient-centered care and change. This is a long post because the session was jam-packed with information, and I was only able to attend the first part. Heads must have been reeling for those who were fortunate to attend the entire 5-hour session. The session was kicked off by Mark I. Froimson, MD, MBA EVP and Chief Clinical Officer of Trinity Health who took questions from the audience to start the day to ensure that their needs were addressed. A survey of the room showed that roughly half of the attendees were surgeons or physicians and the rest of the audience was comprised of included administrators, nurses, and physical therapists involved in care. This was apropos as much of the theme of the conference was about how care teams will need to work together across settings in a new patient-centered model to deliver on care. Questions fielded showed that the audience had done their homework and included concerns about business models and outcome tracking for revisions. The Baby Boomer’s desire to stay active has resulted in earlier joint replacements which means revision surgery in the future. Audience members were concerned that revisions wouldn’t have as strong outcomes and they would be penalized by that. 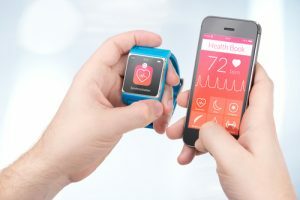 Participants from smaller organizations asked whether there were other metric tracking schemes they could participate in to offset the Meaningful Use incentives if they weren’t able to participate. 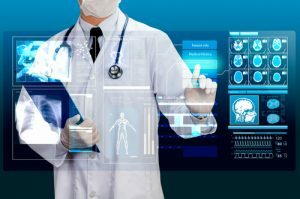 (We have an idea: how about reimbursement for engagement with digital patient treatment plans?) Complex cases were also of concern: the system needs to ensure that systems will not be penalized for complex case that may also have weaker outcomes. Without risk adjustment for complex cases which are more likely be done at large in-patient facilities rather than ambulatory surgery centers, some organizations could be unfairly penalized. Dr. Fromison handed the session over to the extremely optimistic Kevin J. Bozic, MD, MBA, Chair of Surgery and Perioperative Care, Dell School of Medicine. While value-based the goal of bundled payments is to improve outcomes and lower costs, Dr. Bozic spoke directly to the audience about the value for them: in the current fee-for-service model, the best surgeon gets paid the same as the worst. There is no incentive for efficiency. In the new model, surgeons that can deliver better outcomes at lower costs will be rewarded accordingly. Interestingly though, the team-based medicine approach and the focus on surgical prep and post-operative care, means that it’s not clear which physician in the team will see the benefits of performance bonus: the primary care or physiatrist, the anesthesiologist, or the surgeon. This will be interesting to watch play out. In the past some surgeons considered their work to be finished after the surgery and others stepped in for post-acute care. As well, there was discussion about how to get hourly workers in the care team on board and aligned with the new models. 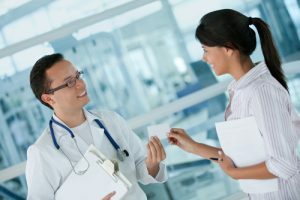 As we’ve talked to countless organizations and individuals about the move to value-based payments, the common theme is that the patient outcome driven approach is better for patients: perhaps this can be the rallying cry for alignment. This team-based partnership is not just within an organization or care team. Since 40-50% of costs of a total joint replacement are in post-acute care, surgeons and health systems must partner with post-acute care facilities. We’ve observed this trend directly with both inpatient and outpatient rehabilitation joining health systems and creating new ACOs to share risk. Dr. Bozic handily turned the negative connotations of risk-sharing on their heads, when he was asked whether these new models were just a measure to shift risk to the providers. His answer was a positive “Yes” and encouraged the audience that providers were really the only ones who could manage performance and appropriateness of care. Note that payers still bear the risk of who gets a disease (although with more health systems focusing on wellness this could change), while providers bear the risk for the outcomes. Because of this, Bozic recommended that a strong physician needed to lead the change and own the bundle implementation within a health system. 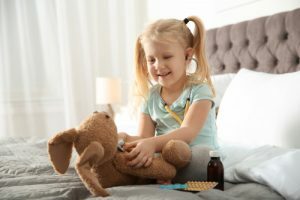 Today with the focus on outcomes it’s hard to believe that a surgeon from Massachusetts General, largely seen as the father of outcome tracking, was run out of town and eventually lost his license for suggesting that physicians should track and be accountable for the outcomes of the interventions they performed. Refreshingly, Dr. Bozic asked the audience to go beyond standardized outcome tracking as it relates to reimbursement, and consider which outcomes matter most to patients. We’re excited about this idea as we track outcomes both based on standardized outcome measures like the HOOS and KOOS (and soon the Hoos Jr & Koos Jr) but also at the task level and soon based on the patient’s own goal. Without data transparency and sharing, improvement can’t happen. Finding out where the waste is in the 100-300% variation in inpatient total joint cost is key. Dr. Bozic is suspicious of organizations that boast that they are better than average on all measures: he believes that they are actually are unaware of their flaws and not driving a culture of continuous improvement. We’ve been at surgeon-focused conferences before, and the booths that were busiest were those promoting joints and surgical instruments. Dr. Bozic told the audience they needed to be evaluating vendors that could help them collect, measure, and act on outcomes, which was music to our ears. The third speaker was Dr. David Halsey, MD from Vermont, who echoed many of the themes of the previous speakers, especially in the need for outcomes, but also posited a question we haven’t heard before, Dr. Halsey asked who better to do population health for arthritis than orthopedic surgeons? 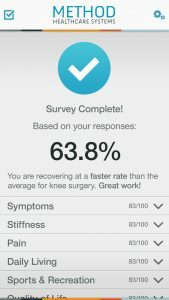 In our travels, we think that both physiatrists and physical therapists might want to join in that population health management, however, if it starts with the surgeons then they would be more incented to try other approaches before surgery, which can be accomplished through preventative care. Preventative care includes patient education and shared decision making and requires new tools to involve and engage patients in their care. It also includes making the patient’s goals front and center to improve care, and understanding and managing their expectations. 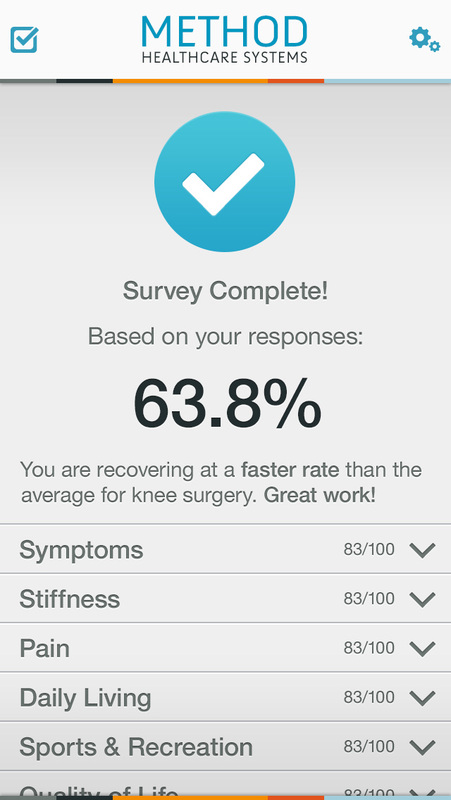 Today’s patients have higher expectations to have a high level of mobility post surgery, and a low level of pain. Physicians need to engage with patients both to understand and to manage their expectations. 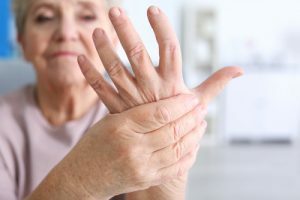 While we’ve heard some people grousing about the squeeze that is being put on orthopedics through the CCJR, this glass-half-full group sees this as an opportunity for orthopedists to lead the way and actively engage with CMS. Data collection and transparency are the way to do this, and the current tools (aka EMRs) don’t cut it. (While this is our message at Wellpepper, it came directly from the speakers: times are changing!) Expectations are that other specialties will follow the total joint guidelines, spinal surgery is considered to be next, so orthopedists have the opportunity to set the standard for how value-based bundles are implemented in their organizations, while collecting and analyzing real-time data and leading an interdisciplinary team of course. Onwards! We’re ready!